Today me and Lilly went to our local Armed forces day celebration down our main park. There was lots to see and do including displays from local groups and parades, there was also a chairoplane and bouncy castles there and they had stalls and tombolas as well. 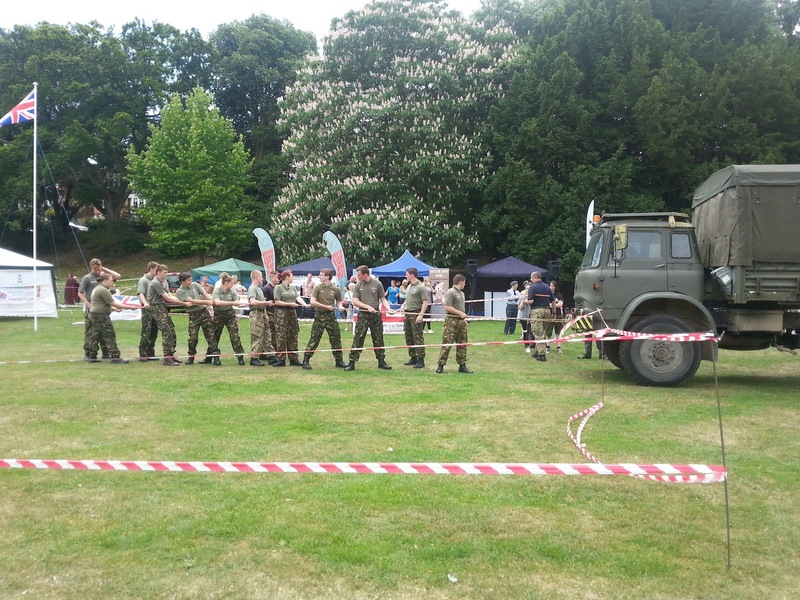 After the parade we started wandering and managed to catch the military college students pulling the truck along. It took them a while to get it moving but once they had they were fine. They also pushed it back up the field too. Food wise they had a burger van which was really cheap for the food they did, they had a crepes stand which I think is a brilliant idea. 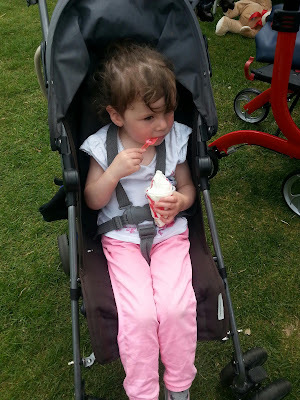 They also had an ice cream van which Lilly choose and a sweet stand. They had this cute, original 1950's chairoplane for the children which Lilly was so excited to go on. She loved it and was smiling the whole way around. 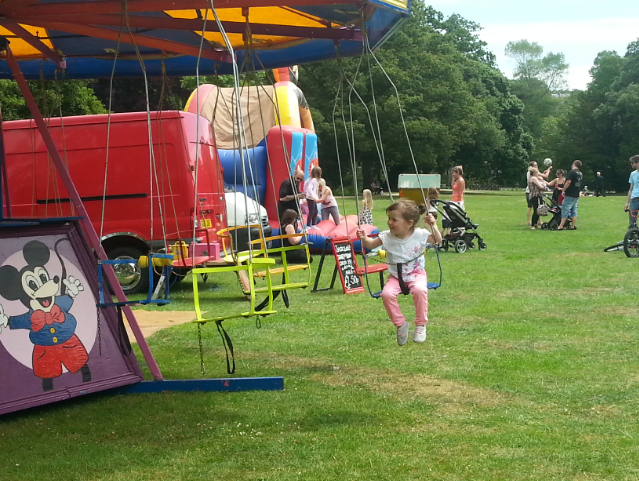 They also had a couple of bouncy castles too. There was a few stalls with local charities and groups running them, such as girl guiding, cadets and the royal British legion. At one end of the field they had some old military vehicles for as to look at which people dressed in costume. Before we left we watched an amazing gymnastic group who put on a wonderful display. They were all very talented and all smiled throughout there performances. 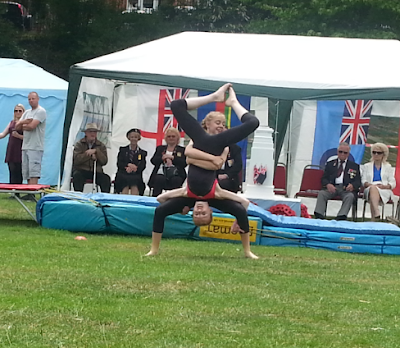 This was all set up by the Veterans association and I think they did a brilliant job.